Collected for University of Florida's Institutional Repository by the UFIR Self-Submittal tool. Submitted by Ann Lindell. 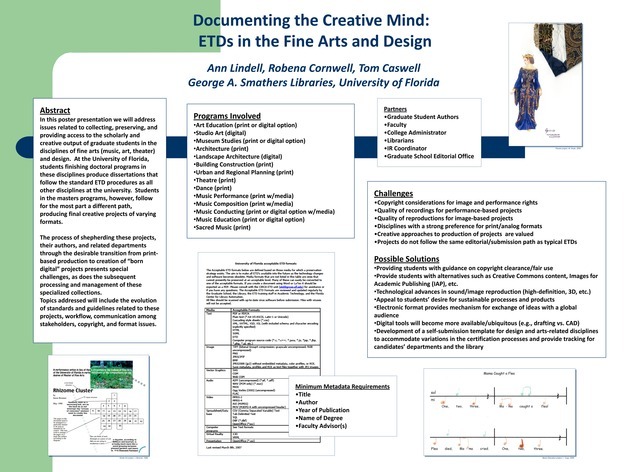 Poster session presented at the United States Electronic Thesis and Dissertation Association (USETDA) Conference, Orlando FL, May 19, 2011.
stakeholders, copyright, and format issues.